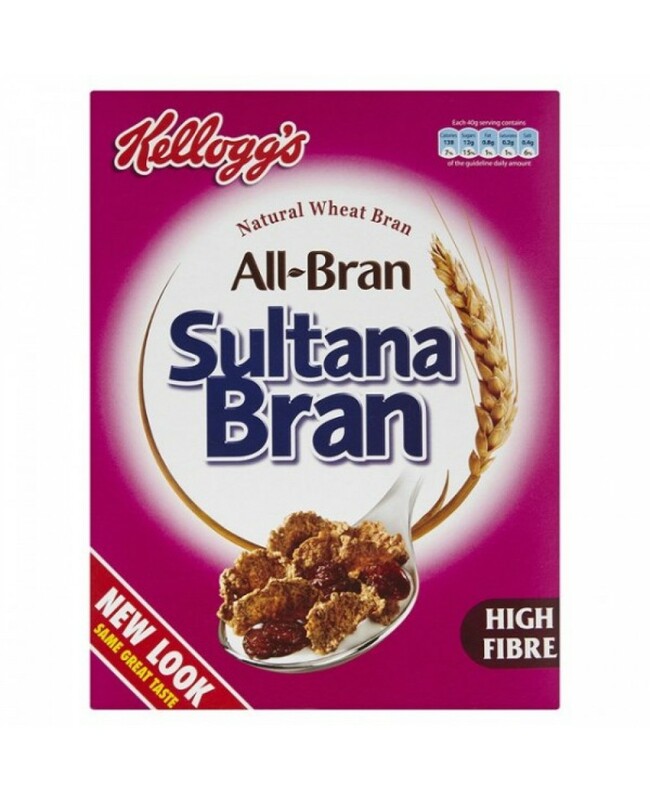 Kellogg's All Bran Sultana Is Perfect For Enjoying In The Mornings As A Delicious Cereal That Will Keep You Full Until Lunchtime! Natural Wheat Bran With Oats. High In Natural Wheat Bran Fibre. Fortified With Vitamins & Extra Folic Acid.